This is an EXCELLENT property. Can be Commercial C-1, C-2, C-3 or Industrial I-1 or I-2. Huge opportunity for any business desiring highway exposure in fast growing market. 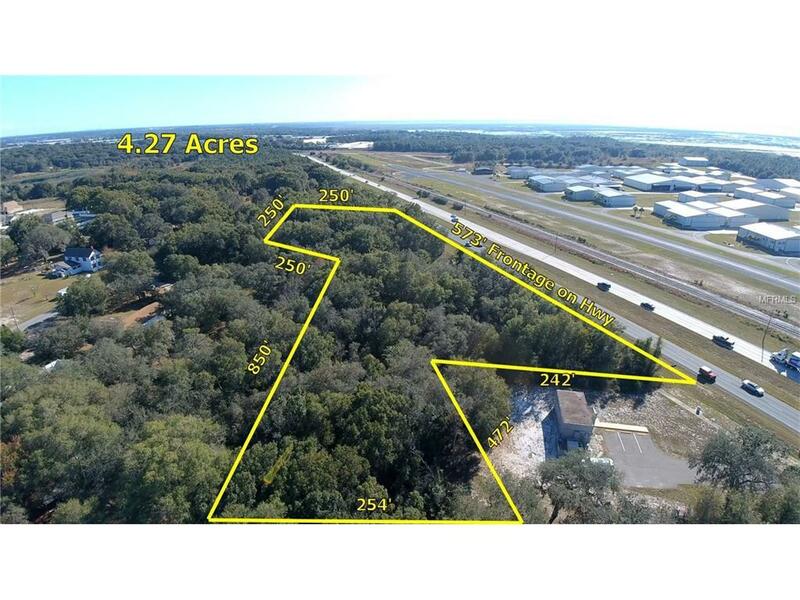 Land is all level and dry with 575 ft frontage on very busy Orange Blossom Trail (Hwy 441). Has unobstructed straight open view stretch of Hwy 441 with daily traffic count of 32,500 vehicles. 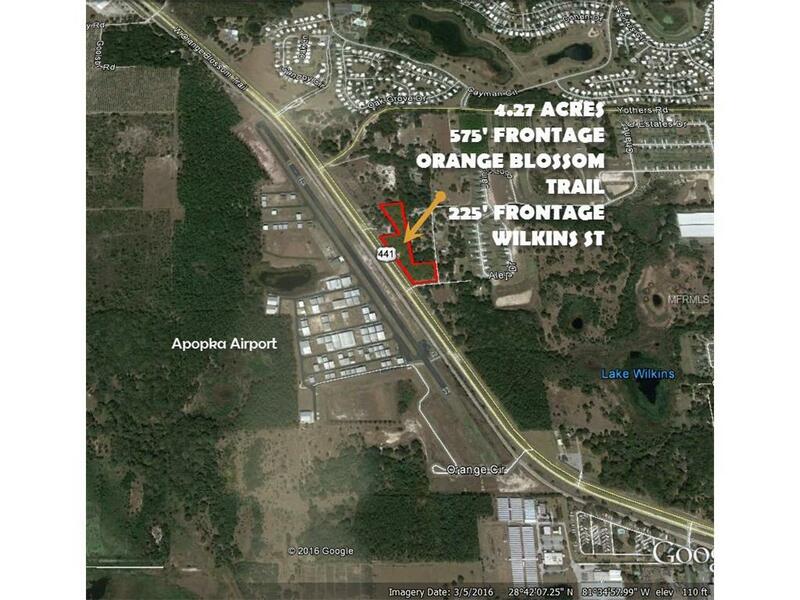 Property is opposite Orlando Apopka Airport. The zoning is A-1 ''Zoning in Planning'' and can be anything above with a plan. (Pre-planning meeting and sketch of development can be easily setup with City of Apopka) OVERALL EXCEPTIONAL LOCATION FOR ANY BUSINESS LOOKING FOR HIGH VISIBILITY IN A GROWING TRAFFIC AREA. Property on corner of Wilkins St and 441. Exceptional location. Note: Opposite corner on Wilkins can be combined with this property. Separate parcel is 3.05 acres with approx 280 ft frontage. Talk to Listing Agent. Listing provided courtesy of Watson Realty Corp..